We were and still are Indian novices. The subcontinent pivots around a different Heaven from Europe. So we were a little nervous when we recently visited the country. Wouldn't you be? And we were rarely in the right place at the right time. Enjoy our regular travel 'letter' which most unusually comes not from Europe but from southern India. A few days ago, we climbed the stone steps which lead to the summit of Vindhyagiri Hill in the Karnatakan town of Shravanabelagola. Amid the devout faithful, the gently agnostic and the merely curious we made our breathless way up from the palmed plain onto the great granite dome. It is topped by a monolithic statue of Bahubali, well over a thousand years old, which is revered by India's Jain community. "You should have been here in February," said an elderly man who had paused to catch his breath at the top of the steps. "That's when we anointed the head of Bahubali. And that'll not happen again until 2030." We were and still are Indian novices. The subcontinent pivots around a different Heaven from Europe. So we were a little nervous. Wouldn't you be? And we were rarely in the right place at the right time. "You're too early for the theyyam season," said a guide in Kerala, referring to the exuberant ritual worship ceremonies when lower-caste Dalit become ephemeral deities and - in a carnival-like inversion of normal roles - prick the consciences of the Brahmin. India, we find, is a place where spirituality and faith are catapulted into every aspect of everyday life. There's a simple Hindu shrine at the back of the store selling fruit and veg. Or a modest library devoted to the life and work of one guru as an annex to the mutton shop. There are myriad small Christian churches of an evangelical persuasion, each proclaiming their own message, sometimes abetted by neon-lit signs. "Your poverty is a blessing from the Lord," shouts one of the signs that we spot from an ugly flyover as we cruise in air-conditioned comfort past Bangalore rooftops. That made us think. Does anyone really believe that? Well, perhaps they do. We were struck by a very strong culture of renunciation in India. Of course, there are some who turn this into high art. 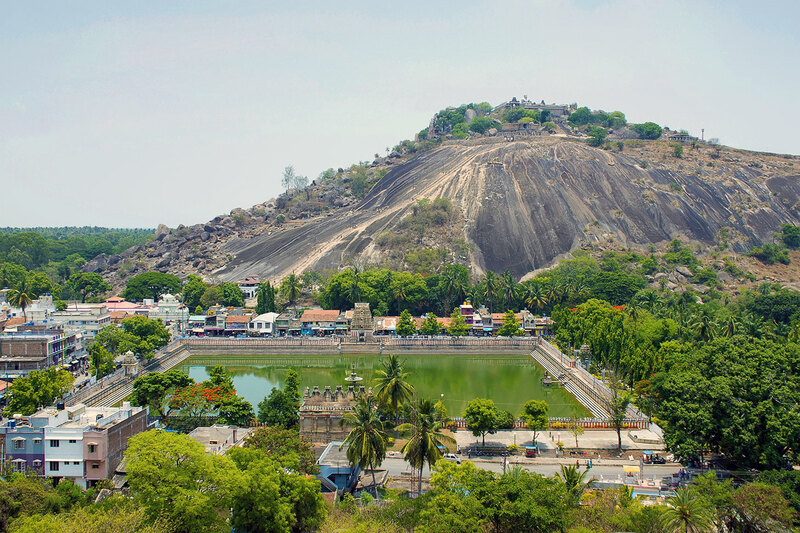 There are Jain monks and nuns who may walk over half a continent to pay their respects to Bahubali atop Vindhyagiri Hill. They would never dream of accepting a ride, still less fly, preferring to walk every step of the way. In the Hindu tradition, there are the sanyasis who have renounced worldly pleasures and material possessions in favour of an ascetic lifestyle. As first-timers in India we were above all struck by what it is to be conspicuous. In our work for hidden europe we have over the years refined the practice of just blending in with the surroundings. That's hard when you are probably the only European travellers on an Indian train. It's even more difficult when you show up at a Jain temple. Everyone is, of course, keen to oblige. "Come in, come in," said the Orthodox priest when we stumbled on a Syrian Orthodox church in Kochi in Kerala. He's keen to remind us that Christianity in India long predates the arrival in 1498 of Portuguese explorer Vasco da Gama on the Malabar coast. The priest spoke with an energy which seemed to us unusual for a cleric. But India is all about energy. It is there at every street corner, communicating - even sometimes against a backdrop of poverty - an enthusiasm for life and an optimism about the future. It is that energy which has evidently allowed Indians to transcend their likes and dislikes. And even somehow makes them endlessly tolerant of the peak-hour traffic on the streets of Bangalore. Just a reminder about our Advent Sale which is now in full swing. Buy subscriptions and back issues at discounted prices. For pre-Christmas delivery outside Europe please order as soon as possible and certainly no later than 7 December.